“Better Beer Through Science” Who can argue with that? 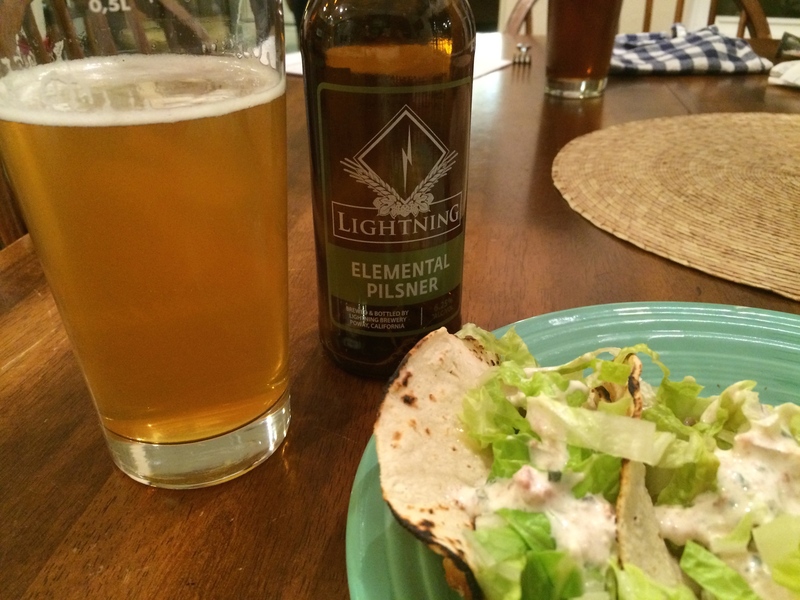 Quick Fish Tacos for dinner tonight, and what to drink with it? I consulted the resident beer expert (he’s also my running coach, among other things) and he suggested a pilsner. So… pilsners generally don’t have a lot of hops, I’m guessing, that must be why I didn’t hate this beer. Don’t you wish that wines and beers with amusing labels and clever sayings on the bottles tasted better than boring ones as a rule? That would make selecting one much easier. I think The Husband picked this beer because of the motto alone… patronizing fellow scientists. 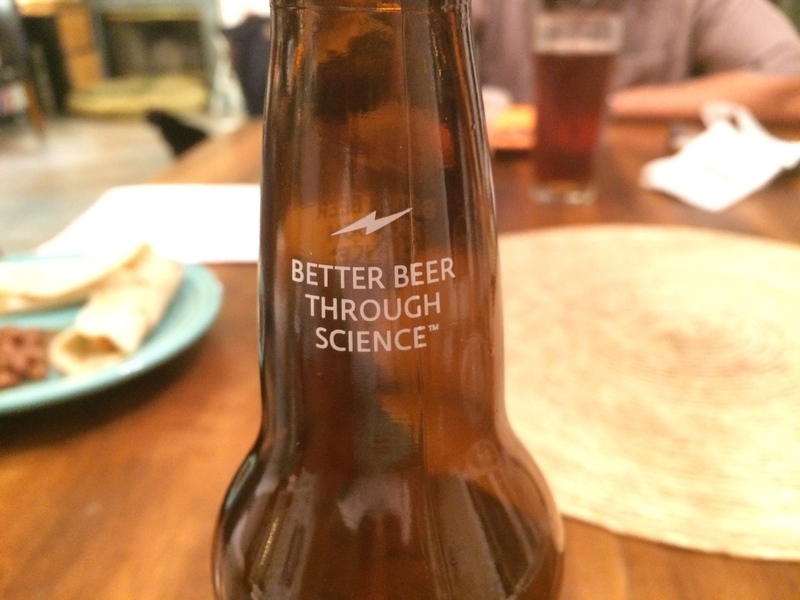 “Better Beer Through Science.” Clever. I liked this! Lightning Brewery, in North County San Diego, was founded by a couple of former scientists, and I’m happy to see something other than double, triple and quadruple hopped beers coming out of this part of the country. This is getting to be ridiculous! It may be one of the signs of The Apocalypse, but there are now TWO kinds of beers that I would drink- pilsners and stouts (it only took three wrong spellings before I gave up and used the spell checker to see how to properly spell ‘apocalypse’). Next Next post: Spiderman, Vertigo, and Playlists- Viewing Suggestions, Please?